A number of factors come into play when choosing the right type of hay for your horse. As grazing animals, research has shown that horses do best when their feeding patterns follow a natural grazing pattern. The length of time the horse spends foraging for food and the amount of feed eaten at one time are important things to consider. 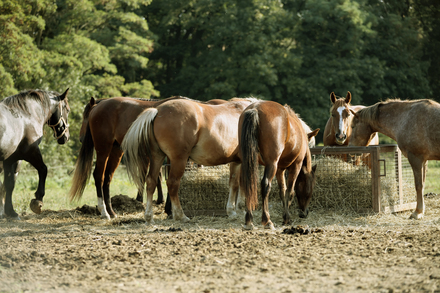 The majority of horses consume harvested hay as the largest part of their diet. Selecting the best hay for your horse depends on the needs of the horse, where you live and more. Compared to other nonruminant animals, the horse has a relatively small stomach, normal-sized small intestine and a large hind gut. This digestive arrangement makes the horse better suited to grazing continuously than to having one or two large meals a day. Hay and other roughages provide nutrients and satiety for your horse. On average, a horse must consume about two percent of its body weight per day to maintain body weight and digestive health. Different ages, classes and workloads of horses require different levels of nutrients from the hay they eat. A combination of these and other factors make choosing the right type of hay for your horse a challenge, but with a little consideration, you as a horse owner are in a position to analyze and compare and make the best choice for your particular horse. A hay analysis gives horse owners the level of crude protein, total digestible nutrients, calcium, phosphorus, magnesium and potassium in the hay, and can be a valuable investment. Legumes or grasses? Which is the best hay for my horse? Most horse owners are familiar with only a few types of hay, depending on the part of the country in which they live. However, a vast array of hays are commonly fed to horses in the United States, including timothy, orchard, alfalfa, coastal, oat, fescue, clover and rye, to name just a few. Many horse owners prefer a mix of legume and grass hays as an ideal forage for their horses. Each type of hay falls into one of two categories: legumes and grasses. Commonly fed legume hays include alfalfa and clover, with most other hays falling into the grass family. Legume hays have a higher protein content than grass hays, and should be fed to active, working, lactating, young or convalescing animals that have higher nutritional needs. It can also be used as a treat for adult animals. Most animals like the taste of alfalfa hay, however it is too rich to use as the only daily hay for most adult animals. It should be fed in moderation, or fed as a blend with grass or grain hays. Alfalfa hay should never be fed to animals with urinary tract problems. Grass hays have a lower protein content, and are suitable for easy keepers, and other horses that do not require the extra calories. In general, grass hays are less expensive than legume hays, but because of demand by the horse market in some areas, grass hays can be more expensive. Pricing is highly regional. Many horse owners prefer a mix of legume and grass hays as an ideal forage for their horses. Various mixes are available in baled form, or you can buy bales of legumes and grass, and then vary the feeding. Many commercial stables will offer a choice (e.g. alfalfa in the AM and grass in the PM). Hay is one of the most widely produced crops in the U.S. It is harvested in every state, and trails only corn and wheat in total acres harvested. 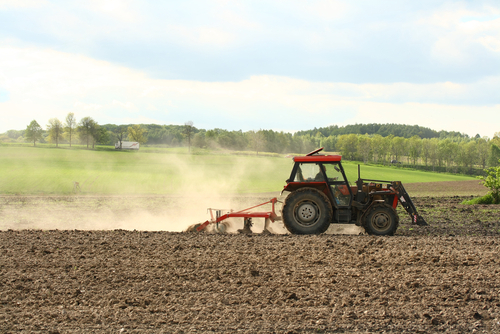 In each of the past 10 years, U.S. farmers have harvested about 60 million acres of hay. The Northern Plains has the largest share of hay acreage, at 22 percent. Feeding cattle, horses and other livestock requires farmers dedicated to producing high quality, nutritious hays. Alfalfa is the predominant type of hay harvested in the U.S. About 40 percent of U.S. hay acreage, 55 percent of hay production and 60 percent of hay value over the past five years has been alfalfa and alfalfa mixtures. Alfalfa can be grown successfully in most areas of the U.S. It generally has higher nutrient content, yields higher tonnage, especially in the irrigated areas of the western U.S., and brings a higher price than other types of hay. A favorite hay of the race horse industry, timothy grass is one of the more popular hays. Timothy hay is one of the most popular hays fed to horses. It can be quite expensive, depending on whether it has to be shipped long distances. Timothy must be harvested in the pre- or early-bloom stage to ensure a high nutrient content. 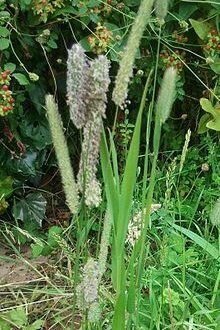 Timothy grass is grown primarily in the northeastern portion of the United States and also in California and Nevada. Timothy is not a very drought tolerant plant and does not respond well to excessive heat. Timothy grows best in areas with abundant day length and moisture. 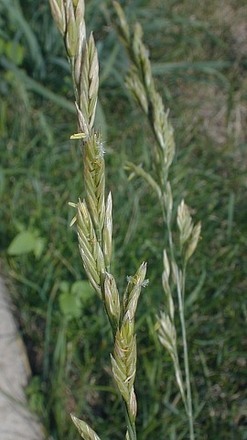 Timothy grass hay is commonly fed to horses, as well as cattle. It is relatively high in fiber, especially when cut at a later or more mature stage. Timothy is typically harvested two times per season, the first cutting in early summer and the second cutting in late summer or early fall. The first cutting is typically preferred for feeding to horses as it has longer and harder fiber length, as well as longer seed heads. Some first cutting is also fed to cattle. Second cutting is typically fed to cattle, but in some cases is also utilized for horses. Timothy hay is 10% protein. It is a good source of copper and zinc and has a good balance of protein and energy. Fields of alfalfa hay during the flowering stage feature a blanket of pretty purple flowers. Several characteristics of alfalfa make it an excellent hay for horses. It is highly palatable and most horses will readily consume alfalfa hay. However, because of its high palatability, intake must be restricted to keep horses from overeating and becoming colicky. Alfalfa hay is high in energy. It has 120 percent more energy per unit in weight than oat hay. Therefore, it takes less hay to meet a horse's nutrient needs when feeding alfalfa hay. However, the high-energy content may lead to overfeeding and to a fat horse. Alfalfa hay is high in good-quality protein. Crude protein values can be as high as 18 to 19 percent. People once thought that feeding alfalfa hay to horses caused kidney damage because of increased urination and ammonia production. We now understand, however, that excess protein in alfalfa is converted into energy compounds, and the nitrogen produced in this conversion must be eliminated as ammonia. Alfalfa hay is a good source of vitamins and minerals. If cured correctly, vitamin C content will be high. The calcium to phosphorus ratio is about 6:1 and must be considered when feeding young, growing horses. There are generally five to eight cuttings from an alfalfa field each year when irrigated, four to five when not irrigated. The first cutting will have more weeds and grass; the second cutting is usually clean with small stems. The third cutting is good hay, and the fourth and fifth cuttings begin to have more stems and fewer leaves. As more stems are present, the quality of the hay decreases and palatability declines. More known as a grain crop, oat hay is a popular hay in the western United States where dryland farming is employed. 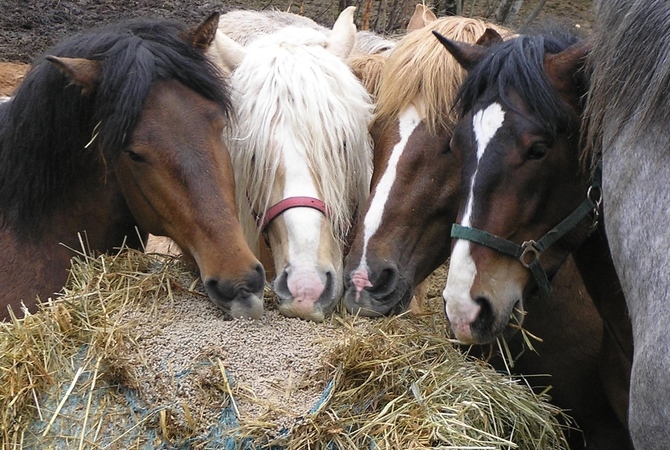 Oat hay is an excellent feed for horses. 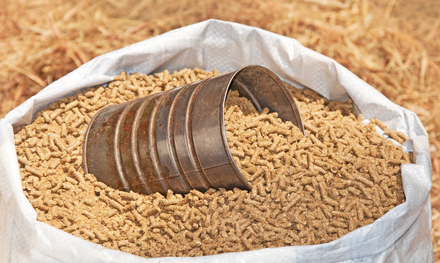 The choice between alfalfa and oat hay depends on price per unit of energy or protein and the type of horse being fed. Depending on the area of the country in which it is grown, oat hay can be low in protein and contain only marginal calcium, phosphorus and carotene. Oat hay is best cut when the oat seed is out of the milk stage and into the dough. This ensures a high quality product still showing some color with good carbohydrate content and sweetness in the stem. Cutting at the proper time means animals will eat the entire hay stem with little waste. Oat hay, like all grass hays, meets the nutritional needs of herbivores that need high fiber and low protein. Clover hay is a favorite of horses and is very palatable. Care should be taken as a number of health problems may occur if your horse eats improperly baled clover hay. Clover hays are similar to alfalfa hays because they are legumes. Clover hay is usually mixed with grass hays. 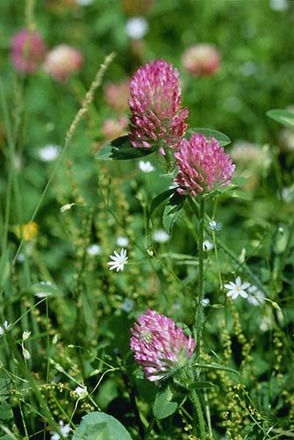 There are five kinds of clover hay: red, common white, crimson, alsike and landino. White and landino clovers are usually grown for pasture. The other three contain 14 to 16 percent crude protein. Hay or pasture containing a large percentage of alsike clover is generally not recommended for horses because of its toxicity. The symptoms of alsike poisoning vary and susceptibility seems to depend on the area where the clover is grown and the individual horse. Clover hay can cause "slobbers" in horses. The condition is caused by a fungus,Rhizoctonia leguminicola, commonly known as black patch that grows in clover that is not properly dried prior to baling. Slobbers is excessive salivation that generally does not hurt the horse, but is not pleasant to be around. Discontinue use of hay that causes slobbers, as continued use may lead to health problems. The most common symptom is photosensitization or a reaction to light. The real problem, however, which is not so readily observed, is liver damage. When purchasing hay, it is best to make sure that it contains little or no alsike clover. If you have a grass-legume pasture for horses where alsike clover is a problem, the clover can be removed by spraying with the herbicide Banvel/Banvell II (dicamba). The application should be made when the clover is actively growing but before it gets too large. Fescue can be fed to horses, but avoid this hay for pregnant mares. Tall fescue is a hardy, popular, cool season perennial grass that can grow on a variety of soils in a variety of climates. It is grown on an estimated 35 million acres in the U.S. Tall fescue has a high yield. 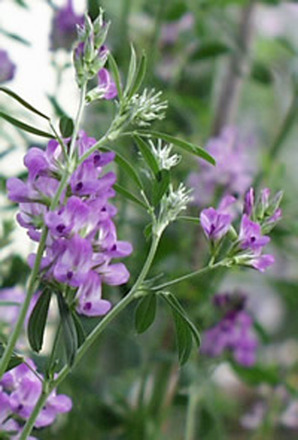 It is drought resistant, resistant to overgrazing and is a high quality nutrient source. Fescue hay can cause toxicosis in pregnant mares when they eat tall fescue that is infected with an endophyte fungus, Acremonium coenephialum . Both the mare and the foal can be affected. Before feeding fescue hay to pregnant mares, a horse owner should make sure that the hay is free of the endophyte fungus. This popular hay is available in the warmer and more humid climates of the South. Bermuda grass hay is used mostly in the southern United States. 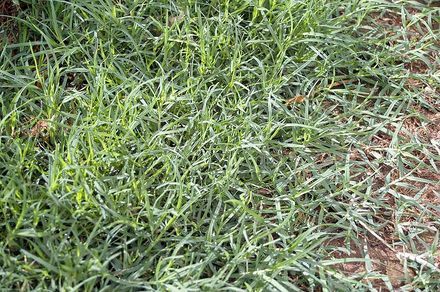 Common bermuda grass does not grow tall enough for hay production, but coastal bermuda grass can be used. The same stand of grass can be cut four or five times a year. 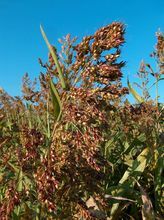 It is as nutritious as Timothy hay, and its value can be increased by growing it with a legume. Some Bermuda hay is grown in the Imperial Valley of California, a region that provides the right conditions to grow top-quality Bermuda hay. Bermuda is a less expensive alternative to Orchard or Timothy hay for those horses that are fed grain or supplements. With less protein than alfalfa, 8% - 10%, it is an excellent source of roughage for all types of livestock. Additionally, it is a good source of vitamin A and D without an overload in protein, and it has a better balance between calcium and phosphorus. Orchard grass hay is a common component of many hay mixes. 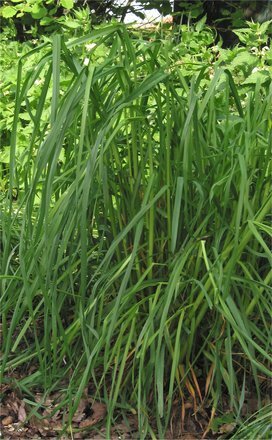 Orchard grass is a flat leaf, bladed, perennial, cool season, tall-growing grass. 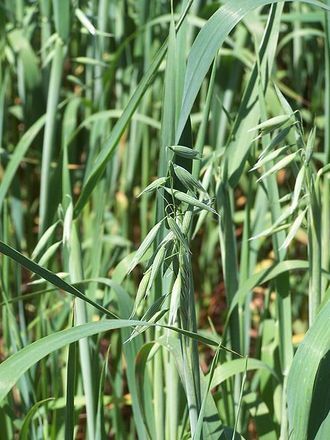 Orchard grass is high in fiber and low in protein to help support a healthy digestive tract. The leaves vary from green to bluish green depending on the maturity of the plant. 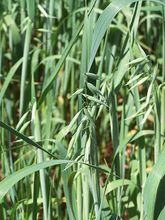 Orchard grass propagates best in well-drained soils, and is often planted along with legumes such as alfalfa or red clover to provide a balanced economical hay. Care must be taken to cut orchard grass hay at the proper stage, as older stands of orchard grass will produce course and less palatable hay. Generally not recommended for horses because of the potential toxicity. 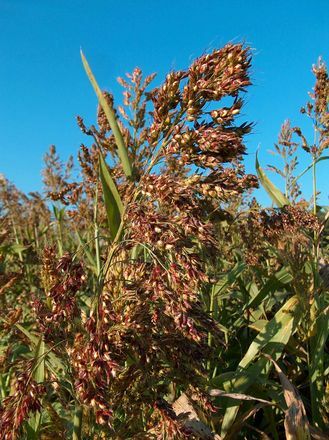 Sudangrass hay, which often Includes Johnsongrass, Sudangrass, and sorghum-Sudan hybrids, is considered cattle fodder and may cause neurological problems in horses. Horse owners are warned not to allow horses to graze these plants as they may develop cystitis syndrome. This condition looks like colic with accompanying bloody urine and can be fatal to horses. Affected animals may show a staggering gait and urine dribbling. Pregnant mares may abort. There is no treatment for this poisoning and poor prognosis of recovery.